If you have a puppy, it’s happened to you — and if it hasn’t I’m sure you can easily picture it in your mind. You wake up on a beautiful morning. You got a great night’s rest, the sun is shining, and everything seems right with the world. You step out of bed and head to the kitchen to fix a cup of coffee when it hits you… or more accurately, you step in it! Yep, our new four-legged friend has left us a little “surprise” and it’s everywhere. It will take forever to clean up, and now there’s no way you’re not going to be late. What is more aggravating than that?? How about when you take your puppy outside to potty, and when they finally go you bring them back inside and within moments they’re going right on the rug?! 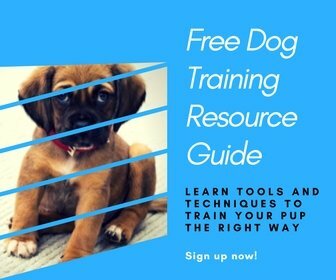 House training a puppy (or adult dog) should NOT be this hard, should it? Of course not! And while there is no magic wand to wave, there are a number of little tricks you can use that will potty train your puppy just the way you’ve always wanted, and you’re almost certainly not using them. Most people aren’t doing these things because they don’t care or because they’re bad owners, but simply because they just haven’t heard about them. Nobody has ever shown them how important and effective small changes can be when house training your puppy. First, you must stay calm. It’s important to remember that you’re in this together. You wouldn’t blame an infant for not being potty trained, so why would you take out your frustrations on the puppy equivalent? It won’t just upset you, it will also set back your progress. Screaming, yelling, or even just showing that you’re annoyed is absolutely not going to give your puppy the confidence they need to obey your commands and use the restroom outside. Imagine if you were trying to go with a yelling, screaming person standing there staring and watching you! Not so fun, is it? So, if you still believe in any of that nonsense about rubbing your puppy’s nose in it, forget about that right now. It’s out of date, ineffective, and causes nothing but bad feelings for both you and your friend. Think of it this way… your puppy went to the bathroom inside the house, why? Because they needed to go right now! But they’re inside and haven’t quite figured out door knobs yet, so what exactly do you expect? Your puppy isn’t trying to be difficult or to get back at you for being disciplined. So when you rub your puppy’s nose in their mess, you’ve taught them nothing — they still do not know where they are supposed to go. Now, you’re saying, “but they’re still not sure where they should go then!” And you’re right. You need to show them. You need to train them. That’s why they call it puppy training. Pay attention! The biggest mistake people make with teaching their puppy not to go in the house is also the most important: they lose focus on their goal, and begin getting frustrated with their dog when they’ve gotten it wrong. The secret is simple, you just need to keep rewarding them with delicious treats every time they go potty in the right place. Without fail for a long period of time! Nothing will get your puppy on your side faster than rewarding them with their favorite treat immediately after they have gone to the bathroom where they’re supposed to be going. Take note of that: immediately. Not 30 seconds later, not “hold on, and let me run inside to get your treat,” immediately! Any later than that and you will have lost your chance to make the connection in your puppy’s mind that going potty outside = hooray! But unfortunately, most of us will reward them for a day or two — maybe even a week — before we stop. We forget, we get bored, we run out treats. One great tip I heard from one of my favorite dog training sites is to leave a secure jar outside near the “potty area” so that even if you forget to bring them outside you’ll have them right there ready to go whenever they’re needed. Remember that puppies are still very young and learning. This will take time and you won’t wake up tomorrow with all this silliness behind you. It takes patience and time, maybe more then you realize but they will learn if you stay consistent. If you have children, think of how old they were before they started to get a handle on potty training. And how old is your puppy? 12 weeks? 16? Think of what your child was able to do at that age… and we’re getting frustrated because our puppy is still learning where to go? Crazy! So take a breath and relax, knowing that your puppy is perfectly normal. Focus on their success and learn to quickly forget when they make mistakes. Ask yourself what you could have done differently and correct the problem so it doesn’t happen again. Everyone has trouble, so don’t beat yourself up when you don’t get the desired results right away. It would only be strange if you didn’t have some bumps along the road! This is another really nice tip from the excellent dog training site I mentioned earlier. Imagine this: your puppy has found itself a nice place that’s definitely not the carpet and it even kinda looks and maybe feels a bit like the grass. So, naturally, they go right ahead and go pee (or worse). Only problem… it’s your nice and thick, brand new rug! Even when cleaned thoroughly, your puppy will still be able to smell their marking. And to them, it now seems like a good place to go. Before you know it, your expensive rug has become an expensive potty mat. What you need to do is simple: pick it up now and you’ll be able to put it back sometime down the road in perfect condition. No stains or markings, and no regrets. As I’ve said, teaching your puppy not to go to the bathroom inside will not happen overnight. But by staying calm, keeping a clear goal in mind, and practicing patience you absolutely can stop your puppy’s accidents. Learning to train your dog will be an ongoing process, and reading articles like this one is a great start. But if you’re anything like me, being shown something is much more effective and easy to understand. That’s why I recommend a site from a terrific trainer named Dan called the Online Dog Trainer. Dan has a wonderful free video series that will give you a taste of all the problem-solving information you’ll find on his site. There’s lots more but it would be easier to just go take a look for yourself. Start watching Dan’s free dog obedience videos by clicking here. I wish you the best of luck! I know this is a very frustrating thing to go through with your beloved puppy. Just remember how young they still are, and that with the proper training you can say goodbye to the accidents that are causing the both of you so much grief!